From your hotel our Rep will pick you up with an air confitioned van and transfer you to Wekalet El Ghouri 1504 AD in Old Cairo. 3 Hours of Oriental night attendig Egyptian Heritage Dance Troupe " Al Tannoura Dance". 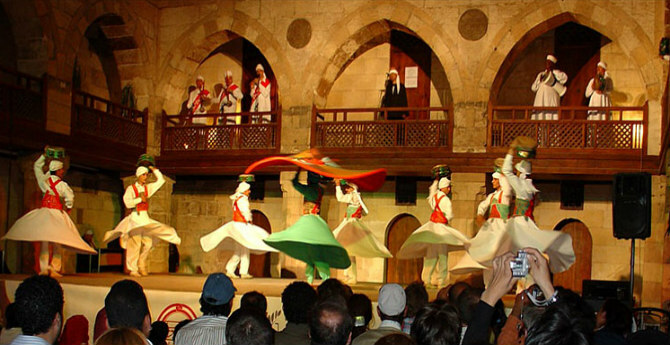 The show is known and performed in various countries in the World, it includes a collection of Folkloric Egyptian played by local musicians then starts the main Tanoura show Dance and ends with spiritual Whirling Dervish performance then our Rep will transfer you back to the hotel.